Dr. Yang’s expertise is centered on health economics and outcomes research. Specifically, Dr. Yang’s research interests include comparative analysis of the risks and benefits of treatment alternatives, medication utilization and health outcomes, medication adherence, health resource utilization and cost analysis, and health care quality indicators. 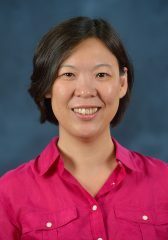 Dr. Yang has conducted research using Medicare and Medicaid administrative claims data, Jackson Heart Study data, MEPS, and other secondary datasets.